Told she would have less than a few months to live without a liver transplant, Heather Krueger’s time was running out when a kind stranger, Chris Dempsey, heard of her plight and discovered he was a perfect match. The two met and before long a friendship developed into romance. 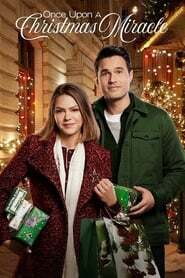 The movie follows Heather and Chris’ journey over three Christmases as his selfless gesture leads to a Christmas miracle for everyone involved. Based on a true story.